Flat Characters: Lena the main female lacked personaltiy. In the beginning she watches her parents die right in front of her and she barely reacts, almost like she was relieved they were gone. Definitely not the reaction one would expect losing both parents at once. I also couldn't see what the guy Jared saw in her. It's not like she was drop dead gorgeous or particularly talented. She was just convenient. Speaking of Jared, what a ball of frustration he was. I get drawing out suspense but my goodness, after the eighteen hundreth time of him blowing off my questions I'd be kicking him to the curb. I'll just solve my own problems thank you very much. The one character I really wish I could have followed more was Lena's Father. If he had been utilized more, even in past tense or oo like the Dr. Alfred Lanning character from IRobot I think it would have been way more interesting. Slow Pacing: A biological thriller should be fast paced. Yet, this story was so slow. When the scenes were on point they were really good but too much of the story was filled with drawn out narrative and a relationship being built between Lena and Jared when it didn't need too be. Unnecesarry Romance: I know I already mentioned it but really, the relationship between Jared and Lena was unncesarry. Yeah, I get that they sorta, kinda, have a history but it wasn't nearly enough to tak the relationship to the extent it was in the story. Since this story has a sequel on the way, the relationship and all the drama it brought with it could have waited. A really great idea was turned into just another YA love story when it could have been an intense, action-packed thriller filled with twists, turns and whodunits for days. Now maybe the Author was pressured to change the story to appeal to more Teens. It was a bit disjointed where that might have been the case, I don't know. No matter though, I was really disappointed that the horror of it all and that being the diseases itself was thrust into the background just so two people could snog. 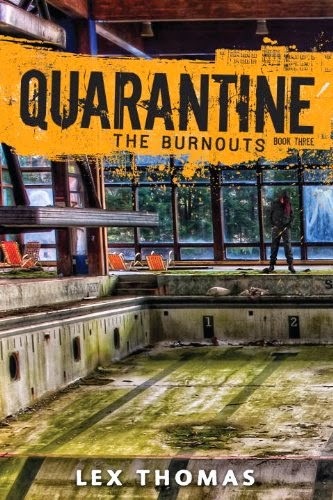 Now although this story had plenty of ups and downs one thing I did like was the diseases itself. The infection was terrifying and the visual descriptions when people were infected and suffering were pretty nightmare inducing. How it's spread,well, it's complicated. I don't want to give it away but let's just say, it is not as simple as say a Zombie bite or a misdirected sneeze at someone. Overall, Antidote was an OK read. I enjoyed aspects of the story enough to probably commit to reading the sequel in the future. Like I said, When things were on point the story was good but it could have just been so much better without all the unecessary fluff getting in the way. 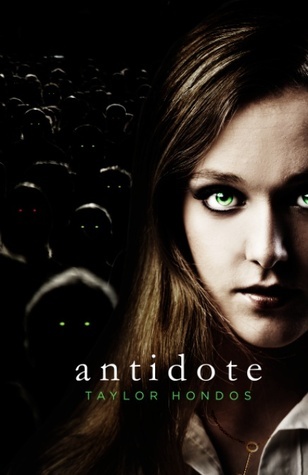 With that being said, I'll be rating Antidote by Taylor Hondos ★★★. *Copy reviewed provided by Patchwork Press. All opinions are my own and I was not compensated in an which way for providing them. Taylor is the author of the "Antidote" trilogy. She began studying at The University of North Carolina at Greensboro in 2013 and is getting a degree in English. She enjoys reading and writing instead of doing her homework. She is currently working on "Prospect," the second book in the trilogy.